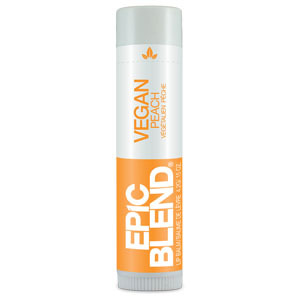 Get your lips looking peachy again with this super moisturising and super smooth Epic Blend Vegan Lip Balm in Peach. Made from 100% plant-based and beeswax free which gives these balms an incredibly smooth texture. Beeswax free, gluten free, vegan, non-gmo, petroleum free, not tested on animals.